The PackRyt® Diverter is a unique stuffing box sealing arrangement that incorporates a flush channel relocation system internally within the composite bearing. This replaces outdated lantern ring/packing configurations that dump excess water into the process. The Diverter relocates the flush deposit and drastically throttles flush volume. Our system ALSO brings shafts into concentricity and keeps them there, significantly increasing sealing reliability. Many pump and equipment manufacturers locate the flush water port at the bottom of the stuffing box. Flush water is allowed to flow IN VERY HIGH VOLUMES to process unchecked. Manually reducing flush flow allows slurry to enter the stuffing box and destroy expensive hard parts. MOVING FLUSH DEPOSIT AWAY FROM PROCESS DRASTICALLY REDUCES VOLUME USED. The PackRyt® Diverter solves the problem and more. Flush water is relocated to the optimal position for YOUR application using channels within the bearing. Shaft stabilization technology prevents shaft movement such as run-out and deflection. The PackRyt® Diverter Sealing System greatly increases sealing reliability and equipment bearing life. UP TO 85% REDUCTION IN FLUSH AUTOMATICALLY! SealRyt Corp. is the industry leader in rotating shaft sealing technology. Our engineers have years of experience in the science of sealing. That's why we hold multiple patents on sealing technology. That's also why our products last longer, get better results, and simply seal better than any other products available. 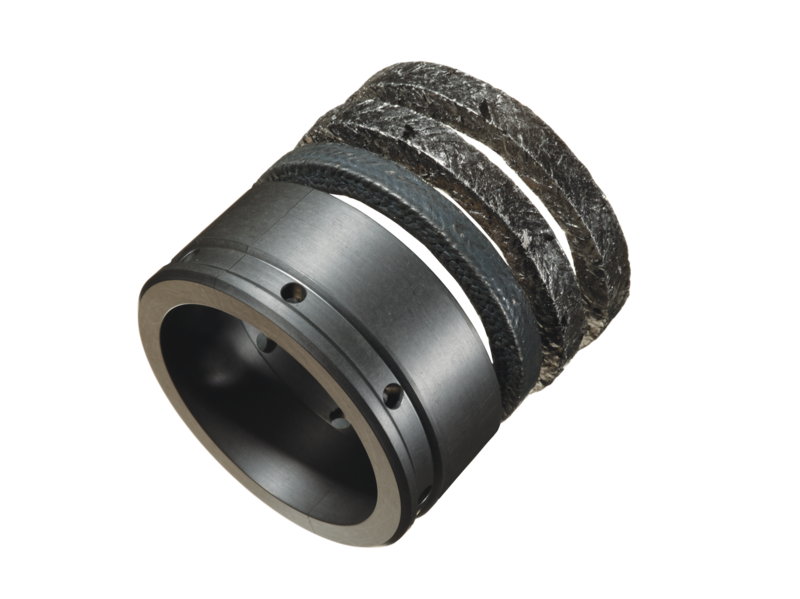 SealRyt's patented technology has proven it's ability to seal, support shafts, and increase reliability. Shaft movement in the stuffing box is unrestrained and is the root cause of equipment and sealing failures. The PackRyt Bearing System virtually eliminates shaft movement which increases both equipment and sealing reliability. A PackRyt® Sealing System was installed on 4 hard coated shaft tank agitator units and they have been running trouble free for over 2 years. Previously these units had shaft change outs every year at a cost of approximately $80,000.00. A PackRyt® Sealing System was installed on a 3175 stock pump having extreme leakage and maintenance issues. The PackRyt® eliminated the problems. All pumps and agitators on the paper machine and the pulp dryer are now being considered for change out. A chip chute pump was being re-packed every 2 months and now with the PackRyt® Sealing System installed it has one annual packing change. The bearing has had a life span of over 5 years. We have compiled a list of life span results from different equipment the PackRyt BLR has been installed. "Your product has performed as advertised and the service by your team has exceeded what was expected. Great job by everyone at SealRyt." "The PackRyt system works better than every other option that we tried." "A good product, in the right application, that has served the mill well..."